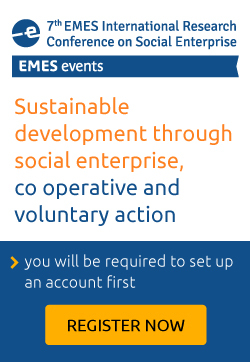 After over a decade of partnership, RILESS and EMES, in collaboration with Unisinos, organize the 1st EMES-RILESS International Conference under the general title of “Solidarity economy and social enterprises“. The event will be held in parallel to the 5th International Symposium “Inequalities, rights and public policies: Protagonisms and alternatives” organised by PPGCS. This combination will result in a privileged moment of interaction, bringing together researchers, students, and professionals from diverse areas, to present work and take part in debates about new initiatives and social alternatives for the combat of inequality, the expansion of human rights, economic organization, and public policy innovation. RILESS is the Network of Latin American Researchers on Social and Solidarity Economy and it is coordinated by “Social Policy and Practices” research group (PPGCS) at Unisinos and the National University of General Sarmiento (Argentina). Since 2013, PPGCS has participated in the ICSEM Project as part of the Brazilian team together with several teams in Latin America and researchers in over 50 countries. A large representation of Latin American researchers participating in ICSEM is expected to participate in this Conference. 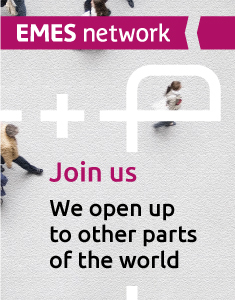 The program will consist of plenary lectures by renowned scholars including EMES members Jacques Defourny (CES, Belgium) and Jean-Louis Laville (Solidarity Economy Chair) as well as working groups, organized around six thematic areas and in three different languages (Portuguese, Spanish, and English). Marthe Nyssens from CIRTES, president of EMES, and Lars Hulgård from CSE at Roskilde University are members of the Conference scientific committee. All the information about registration, program and abstract submission (deadline: August 10th) is available here.